Information on the area (including available real estate, schools, healthcare, professional services, etc) is available by mail by contacting the chamber. 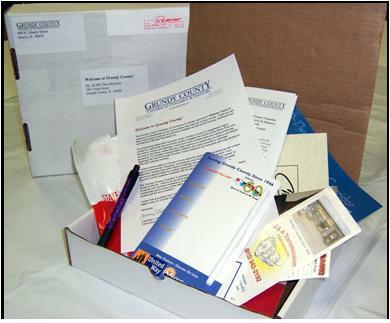 These packets are customized to your needs and mailed for a nominal postal fee. 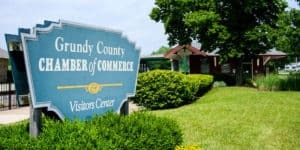 The Chamber sponsors a Welcome Service to serve as an introduction to the communities that make up Grundy County. A packet is delivered to new residents and inside the packet, residents will learn more about products and services available as well as the housing, healthcare, and recreational offerings that await them in the new home. To have your business' information added to this package contact Membership director Samantha Yeager-Walrath at (815) 942-0113 or email. A Chamber representative visits each new business and delivers a packet of information containing area maps, guides, and other community information. To have your business' information added to this package contact Membership director Samantha Yeager-Walrath at (815) 942-0113 or email. Located in the heart of the downtown area. Updated resource guides for 2017 are on their way.